 Hey Everyone!Thanks to some collaboration with the team over at Gameservers.com, we are now finally able to offer an avenue for obtaining ranked servers for Battlefield 2. While Battlefield 2142 is still in the works, we’re not quite there yet. Please stay tuned for more updates on that.In the mean time head over to Gameservers.com to get your BF2 Ranked Server today!